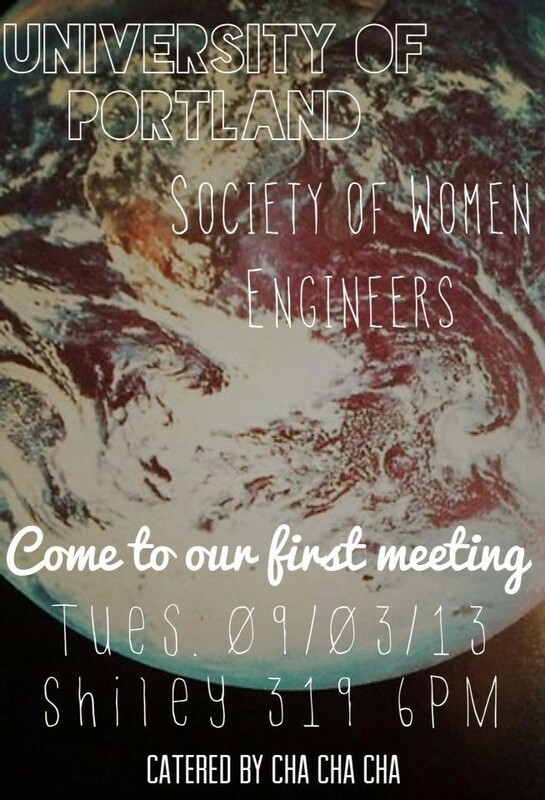 Join us for our first SWE meeting on Tuesday Sept. 3rd 2013! This meeting will be held in Shiley room 319 at 6PM and catered by Thai Ginger. 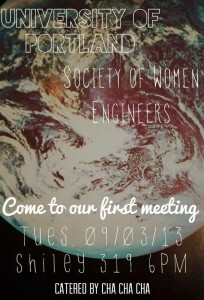 Come and meet your officers as well as our SWE advisors and see what the club is all about. We will also have activities for the mentor and mentees to do together. Hope to see you there! 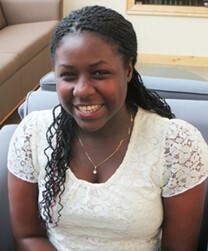 Junior mechanical engineering student Dorcas Kaweesa was recently awarded a Society of Women Engineers (SWE) Columbia River Section Region Scholarship. The competitive award is designed to recognize individuals who enhance the engineering profession through contributions to industry, education and the community. The Columbia River section encompasses Oregon and S.W. Washington.